It’s commonly thought that IT professionals and MIS Managers make the decisions when it comes to Cloud purchases, but a recent worldwide survey of software developers who are actively developing in and/or deploying to the Cloud shows that it is the software developer who is most likely to call the shots when it comes to Cloud infrastructure or tools. When asked about this, 58% said they are the primary decision makers, while another 22% are on a committee that makes those decisions. Only 20% have little or no influence. 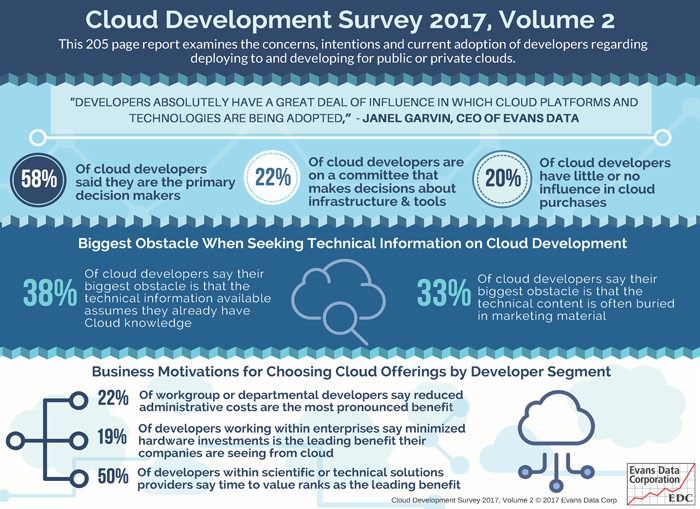 Using the results of the recent Cloud Development Survey report and other Evans Data developer focused research, you’ll know what to focus on for your developer program deliverables, “The Four T’s”, Technical Support, Technical Information, Training, and Tools & SDKs. Developers tell Evans Data that they stay in a developer program for the same reasons they joined. 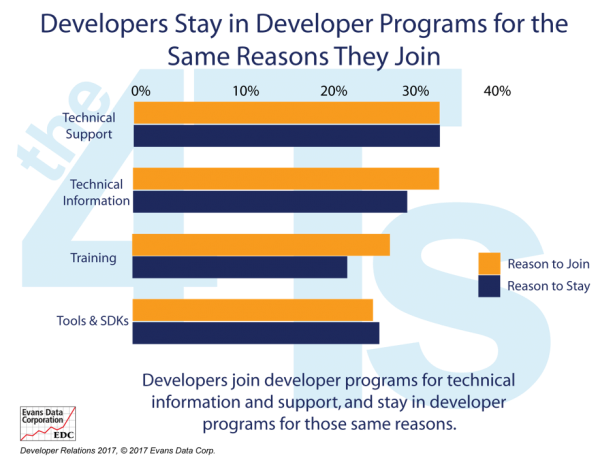 This also means that you need to ensure that you provide multiple entry points, based on experience level, for developers to learn how to use your tools, SDKs, APIs, devices, platforms and services.